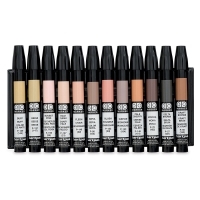 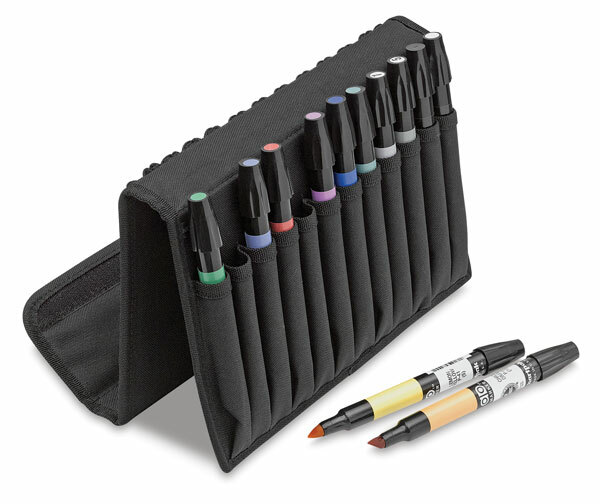 Set of 12 with FREE Nylon Travel Case — Get creative with this special set! 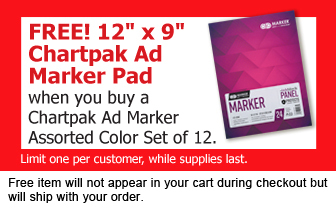 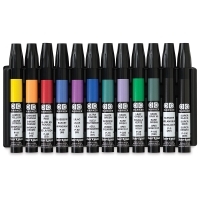 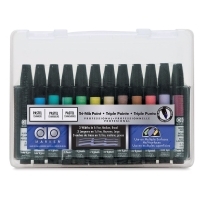 It includes 12 Chartpak Ad Markers in a FREE, padded nylon travel case with a Velcro closure. 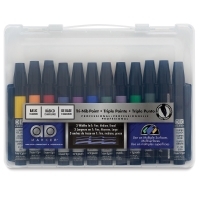 The case will hold up to 24 markers. 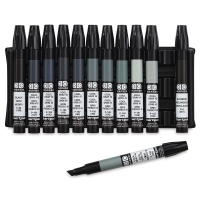 Colors in the set include one each of Ultramarine, Slate Green, Leaf Green, Lemon Yellow, Chrome Orange, Life Red, Lilac, Blueberry, Super Black, Basic Gray 5, Basic Gray 1, and a Colorless Blender.